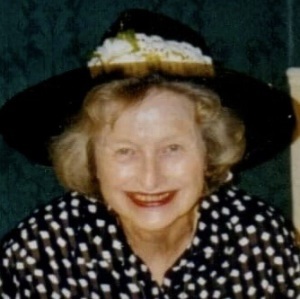 Fran Miller, a 47-year resident of Rancho Bernardo, died April 13, 2019, at the age of 90. Fran was married to James Kiren Miller for 57 years, before his death in 2007. They attended San Rafael Catholic Church since its opening. Jim and Fran had seven children: Jamie Rankin (Steve, deceased) of Rancho Bernardo/Poway, Mary Fran Miller (Fred Linker) of Los Altos, CA, Judy Miller Wolf of Salt Lake City, UT, Brian Miller (Rachel) of Poway, CA, Susan O’Shaughnessy of Washington D.C., Carrie Lopez (Willie) of San Diego, CA and Dennis Miller, who preceded her in death. She loved her fourteen grandchildren, Lindsay Rankin, Amy and Cindy Linker, Tommy Wolf, David, Chelsea, Alex, and Wyatt Miller, Conor and Brendan O’Shaughnessy, Jacqueline and Gabriela Lopez, and grandsons Kirk Rankin and Joe Wolf, who preceded her in death. She was the last living child of Dr. and Mrs. David Bickel. Her siblings were Dorothy Routt, Janet Beker and William Bickel. Jim and Fran had 37 nieces and nephews. Fran was born and raised in South Bend, Indiana. She was a member of Kappa Alpha Theta at Purdue University, and graduated with a B.A. in Home Economics. She married Jim, a fellow native of South Bend in 1950. Her children found it amusing that she hung her diploma over the washing machine and dryer, which she proudly declared “my place of business.” She worked briefly as a hospital dietician, until the birth of their first child. Fran was a truly exceptional organizer, whose skills ranged from planning meals for the week to managing household moves to Chicago, Detroit, St. Louis and Saginaw before settling in Rancho Bernardo. Fran loved social gatherings of all types, and was the life of the party –––reaching out to newcomers and old friends alike, engaging others with animated stories, and extending welcoming hospitality to all. Her laugh was loud and infectious, and people were drawn to her outgoing, cheerful personality. She was fond of hosting “Happy Hour,” which she claimed was her legacy, passed down from her parents. Her children celebrated a magical happy hour with her the last night she was alive. She had boundless energy when it came to keeping a household of nine running smoothly, and still made time for bridge, discussing current events, water aerobics, walks, Saturday night dates, the arts and volunteering. She was intellectually curious and an avid reader who took classes in a variety of subjects. Her children remember her attending all of their sporting and academic events---and cheering with enthusiasm. Once she was an empty nester, she explored the world through travel, museums and visits with her children and grandchildren. A Memorial Mass is scheduled for Tuesday, April 30 at 1:00pm at San Rafael Catholic Church, 17252 Bernardo Center Drive, Rancho Bernardo, CA, 92128. A Celebration of Life Reception hosted by her family will follow. Messages and memories for her family may be submitted to California Funeral Alternatives, www.cafuneralt.com under Frances B. Miller. There's still time to send flowers to the Funeral Service at the San Rafael Parish at 1:00 PM on April 30, 2019.